Date from the onset of Muslim rule in India, The Qutab Minar is nearly 73 metres high and tapers from a 15-meter-diameter base to just 2.5 metres at the top. The tower has five distinct storeys, each marked by a projecting balcony. The first three storeys are made of red sandstone while the fourth and fifth storeys are made of marble. The national monument of India, Constructed in memory of 90,000 soldiers of British-Indian army who fought in the Second World War, the structure was built under the leadership of Sir Edwin Lutyens. The architectural complex is made of red stone and granite. The official residence of President of India, the building is another attraction of the New Delhi. It has remained home to the former British Viceroy of India till 1950. The magnificent structure is the finest example of Indo-British architectural monument which has caught attention of thousand of tourist all over the world. A cirular colonnaded building. It also houses ministerial offices, numerous committee rooms and an excellent library as well. Conceived in the Imperial Style, the Parliament House consists of an open verandah with 144 columns. 13:15 Hrs - Lunch Break, at Local Restaurant (On your own). The tomb is an early example of Mughal architecture. This tomb is of great interest in relation to the Taj Mahal. The squat building, lighted by high arched entrances, topped by a bulbous dome and surrounded by formal gardens - were to be refined over the years to the magnificence of the Taj Mahal in Agra. Haji Begum too was buried in the tomb. The most prominent Sikh gurdwara, or Sikh house of worship. The grounds include the temple, a kitchen, a large pond, a school and an art gallery. Birla Templs also known as Laxmi Narayan Mandir, is one of Delhi's major temples and a major tourist attraction. The temple is dedicated to Laxmi (the goddess of prosperity) and Narayana (The preserver). The temple was inaugurated by Mahatma Gandhi on the condition that people of all castes will be allowed to enter the temple. Evening you can witness Aarti ceremony (Burning lamp ceremony) at the Temple. 18:30 Hrs - Evening dropping back to hotel or your desired destination. 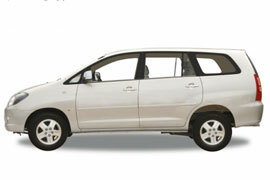 All sightseeing’s & drives by exclusive air conditioned private Toyota car. Professional English Speaking Tour Guide for sightseeing. Our personal care & attention. Tipping for guide & driver. Items of personal nature like phone calls, table drinks etc. Anything not mention in included features list. 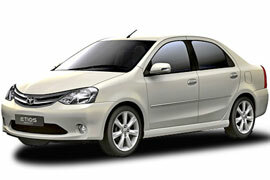 Day Trip Agra is a division of Pacific Classic Tours (India) . we are transferring you on our main site for payment.